Waikoloa WiliWili Festival | Koa Realty, Inc - Search Big Island Hawaii Properties for sale. Waikoloa Dry Forest Initiative hosted the annual Wiliwili Festival on September 27th at the Waikoloa Village association Stables. This is a Waikoloa Village annual celebration to honor the big island of Hawaii’s native dry land forest and the endemic wiliwili flowering season, the festival offered guided tours of the Forest Preserve manage the initiative, which is dedicated to the revival of the native dryland forest that once was typical on arid lands surrounding Waikoloa Village. 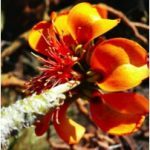 Wiliwili, Erythrina sandwicensis, is an endemic Hawaiian dry forest tree in the legume (pea) family. 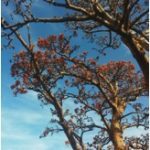 In West Hawaii, surrounding areas such as Waikoloa Village, Lualai at Parker Ranch in Waimea, and parts of the coastal hillside along the Akoni Pule highway the wiliwili is deciduous, losing its leaves in late summer. Then stunning orange flowers are displayed on sinuous bare trees. The textured bark on trunk and branches appears golden red, giving wiliwili trees an iconic presence. Its lightweight wood has been used by the early Hawaiians for surfboards, canoe ama, and fishing net floats. 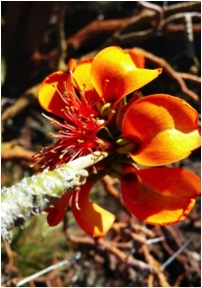 Wiliwili seeds and flowers are still used in popular lei designs. In the fully fenced preserve, the wiliwili trees are propagated, sustained, and protected from voracious wild goats and disastrous wildfires. Preserve workers and volunteers are meticulous about eliminating the non-native fountain grass. 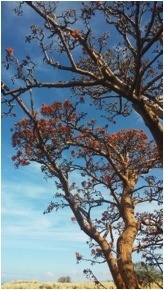 Other native dry land species such as the flowering Ilima and the very rare Uhiuhi tree have started to be reintroduced into their natural environment as well. This wonderful cultural and historical festival offered workshops, plant sales, great music, local vendors and ono food in a keiki friendly environment. Island residents and visitors traveled from the resort communities of Mauna Kea resort, and the Mauna Lani, from Kailua-Kona, Honokaa, and elsewhere to participate in this once a year spectacular. We applaud the festival organizers and sponsors for the Emphasis that was put on sustainability and zero-waste! 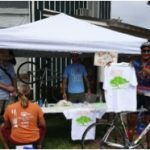 It was a thrill to see free t-shirts being offered to those who arrived on bicycle. If I had known, I would have arrived on a Schwinn! Mahalo to the many volunteers, organizations and contributors for making an educational community event into a festive gathering enjoyed by all! 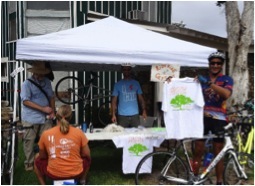 Thank you and credit given to Jen Lawson for the Wiliwili tree photos, and to David Stubbs for the photo of the festival tent and tee shirt give away. Can I still buy a tee shifty from this years festival. Can I still buy a t-shirt from this years festival.